Eurocom Corporation www.eurocom.com announces support for Intel's new high performance i7-990X Extreme Edition Processor inside the EUROCOM Panther 2.0 super notebook. "The i7-990X gives our clients a super powerful, unlocked processor that is built for unmatched performance" said Mark Bialic, President of Eurocom "Customers can now match the Intel i7-990X extreme processor with AMD Radeon HD6970M and NVIDIA GTX 485M video cards for a super computer experience inside a notebook form factor." Eurocom is a leading developer of desktop replacement and mobile workstation technology. Eurocom began with the goal of creating the most advanced computer systems and using advanced engineering techniques typically unseen in the computer industry. The company has produced many firsts and continues to engineer well-balanced machines and VGA solutions that inspire and enable individuals to reach great possibilities. 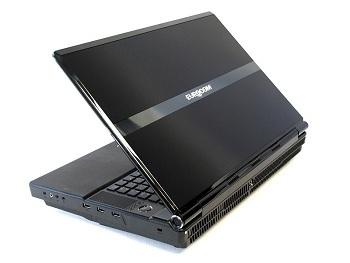 For more information on Eurocom or to customize a machine, visit Eurocom.com.